On the first weekend of July the Cheltenham ARA arranged a club field day to coincide with the RSGB VHF NFD contest. 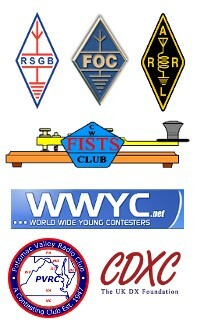 I wasn’t able to attend on the Saturday but I did get along for the Sunday morning session on 70MHz. I took along my Icom IC-7300 (40W) and 5 element Powabeam antenna. The antenna went up on the 8m Racal push up mast on a drive-on plate that I usually use for portable operating. We made 36 QSOs in the Restricted section between myself and Derek G3NKS. Our best DX being SP3RNZ right at the end of the session.